Final Fantasy XIII-3 XBox 360 Review At times, Final Fantasy XIII-2 does become a little convoluted but somehow it successfully creates a modern fairytale of good versus evil. Recommended! Final Fantasy is probably the greatest RPG series in the world of gaming which has been released on a variety of platforms from handhelds to computers and of course, next generation consoles. From larger than life stories and characters that almost jump out of your screen, the biggest drawcard of this Japanese RPG series was the addictive gameplay. Unfortunately the gameplay remained quite static for a considerable number of releases but thankfully a revamped occurred only a few games back which definitely made things more enjoyable. Another key aspect to the Final Fantasy series is that although the game is up to number 13, the titles have been a reimagining of this universe which means only certain elements remain constant in these stories. Therefore, every game is different and you don't need knowledge of what has come before it. 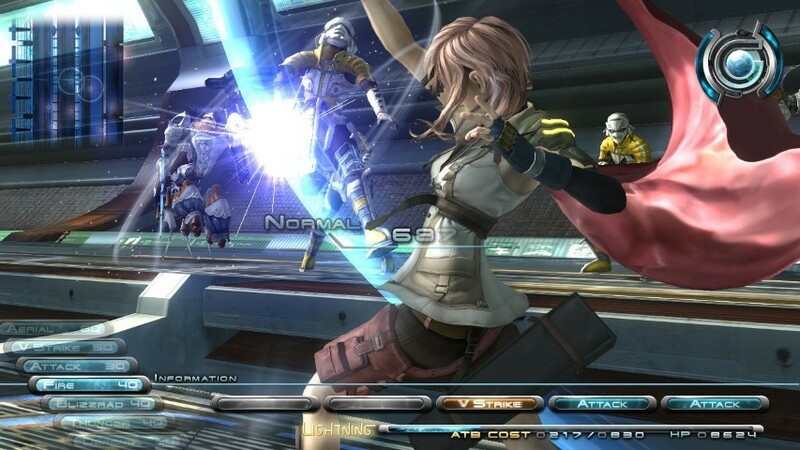 This however is not the case with Final Fantasy XIII-2 as it progresses the story from the previous game, however this time the main protagonists are Serah, sister of Lightning and Noel Kreiss who seems like a more cocky version of Cloud. The game itself takes place around 3-years after the ending of Final Fantasy XII which begins with a truly amazing cinema. 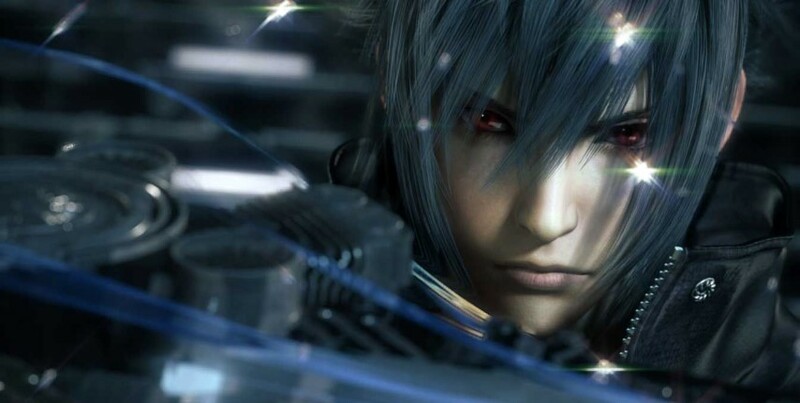 Square Enix are definitely the masters of in-game cinematics and Final Fantasy XIII-2 is no exception to this rule. In this cinema, Lightning is battling the nefarious Cauis through the wondrous city of Valhalla. The attention to detail is brilliant in all cinemas in the game and whether its the realistic hair movement, the detailed skin tones with even blemishes or my favourite, the almost human looking eyes (there's no zombie eyes here), everything looks like a professional CGI movie and more importantly, it portrays a sense of emotion. I loved seeing the ultra-realistic metal effect on Lightning's armour during the first cinema which is another wow moment. In the opening cinema which is truly another epic gaming moment, we learn that Lightning is trying to vanquish Cauis in order to save Valhalla. As the two battle above the Valhalla skyline with its clever Escher type camera angles, Lightning finally manages to defeat her enemy. Unfortunately, this is not the case and in a last effort to destroy Valhalla, Lightning summons Noel Kreiss to Valhalla and gives him the task of going into the time stream in order to find her sister Serah. 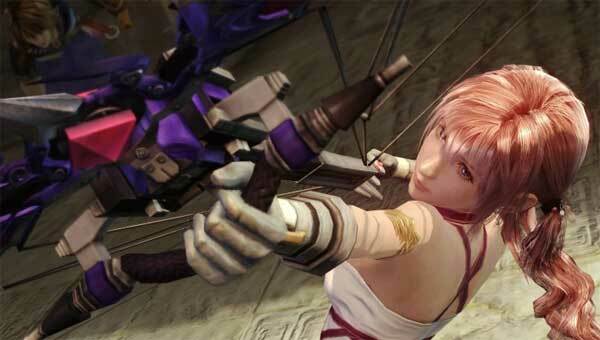 With Serah's help, Lightning believes that she can change the future and in turn prevent the disaster that the future has become. This cinema also introduces the player to the control system of the game which gets explored later once you control Serah. But seeing Lightning fight Cauis with her trusty mechanical dog Odin is definitely one hell of a way to start the game. For those who have not played the previous game, this game is still accessible thanks to the Beginners Primer. The beginners primer is basically a narrative about the previous game and helps the player put the pieces together of these characters and the world that they are playing in. Even if you skip this section, most players should have no problem in picking up the storyline of this new final Final Fantasy game. The game supports two levels of difficulty that include normal and easy. You definitely want to pick normal if you want a challenge. 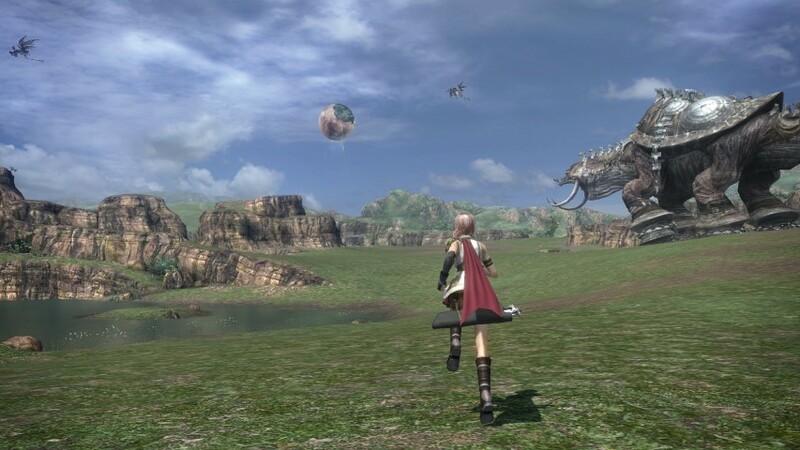 The game starts in the city of New Bodhum where you are given control of Serah and Square Enix once again use the sink or swim strategy of learning and throws the player straight into a battle as this town is overrun by monsters. I also like how the game uses Triggers which allows the player to assist their character in interpreting their current situation or when they are asking other characters questions. 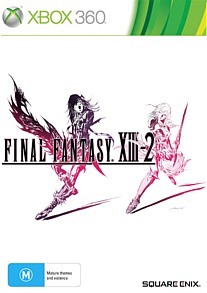 As a confused Serah lays on the ground in fear, she is saved by Noel and together they help destroy these creatures. This first level teaches you how to navigate in the world and use your commands in battle, whether automatic or abilities that allows the player to manually select their attacks. The game even uses cinematic action sequences or quick-time events which require the player to press a string of buttons or manoeuvres on their controller to perform some very cool move that is enhanced by the cinema. It's also great that you can chain attacks together with your colleagues via the paradigm shift that opens up for truly devastating attacks on your enemies and is definitely required for the more difficult encounters. Paradigms to an extent can be customised and at times can be quite complex to master this system. Thankfully the game does a decent job at teaching you the basics at the start. The combat is definitely the best in any FF game as it's quite fluid and offers the player a choice of strategies and teamwork options while attacking the enemy. Square Enix have also changed players deaths as well which means if your leader happens to die in combat, the game does not automatically end which was quite frustrating when you were battling those tougher bosses. Add in items, levelling up and lots of exploring and FF 13-2 is a classic JRPG with a few modern twists thrown into the gameplay. Apart from controlling Noel and Serah in your party, you also have a third position for a Pokémon type monster that you have captured and each of these monsters all have their pros and cons such as fighters or healers. The Cait Siths were my favourite as they act as healers within your party and allowed me to focus my two guns, Noel and Serah directly on the opponents. These Pokémon... err... monsters can even be levelled up along with your other party members. The difficulty here is that as there is such a wide choice of monsters to be found, it's difficult to find the perfect balance of whether to use your levelled up creature or to recruit the slighter weaker monster who will eventually become even more powerful. Missions are quite diverse and quite satisfying, although the story does become a little somewhat confusing, especially as you navigate through the time stream to different locations which is achieved by visiting the Historia Crux. Apart from the main missions, there are plenty of side quests and NPC missions that you have the choice of completing or not. Some areas also need special items to access which is a chore in itself. However like most FF titles, the more grinding that you do, the more powerful your characters become, especially with those boss battles and the last fight. I remember one FF game where I just raced on through and when I came face to face with the end boss, it was impossible for me to defeat. We all learn from our mistakes but it's vital to continue levelling up your characters in order to improve them and of course, find better items. The best feature of this game besides the combat is the ability to save anywhere. That's right, if you haven't played a FF for awhile, you can now save wherever you like and you don't need to search for those sometimes elusive save points. This does open up the game for more short gaming sessions as you don't need to play until you find those save points. With that said, the gameplay is quite flawless in this title, although it is a little repetative. 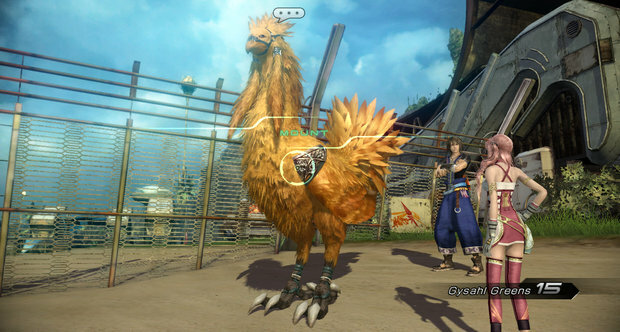 Graphically, FF 13-2 is a beautiful looking game that is oozing with some amazing eye candy. The cinematics are easily the best that have ever been produced and the in-game graphics is not something to scoff eitherat, although the backgrounds are a little bland. Character animation is good as are the battles and the various special effects and lighting that graces this title. Voice acting is quite professional, although some characters like Noel do get on your nerve due to their annoying dialogue. I really dug the musical score in this game as well that not only pays homage to previous games in this series but enhances the overall gaming experience, especially when it tugs at your emotional heartstrings. The game itself will take around 30+ hours to complete and the ending of FF 13-2 is a real killer which seems a result of the butterfly effect that Serah and Noel have got themselves involved in as it's basically a to be continued ending. One good thing about the ending of this game is that you can keep on playing and levelling which is kind of cool as the game is so much fun to play. If you're a fan of this franchise, this is a must have title that features a well crafted story with some very likeable characters and a very sturdy combat engine that goes hand in hand with the gameplay. At times, Final Fantasy XIII-2 does become a little convoluted but somehow it successfully creates a modern fairytale of good versus evil. Recommended!